In 1810, the Virginia General Assembly recognized 20 acres of land owned by farmer and trader Thomas Buffington as the village of Guyandotte. 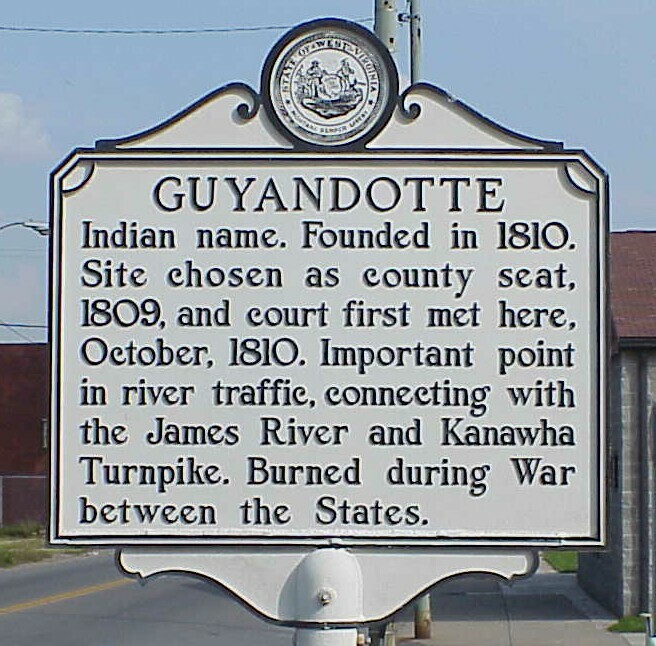 In the late 1830’s, Guyandotte was a frequent port of call for steamboats traveling the Ohio River and a busy stagecoach stop for the James River & Kanawha Turnpike. The village boasted the largest gristmill between Cincinnati and Pittsburgh. At the outbreak of the Civil War the Village showed strong support for the Confederacy. A union post established in the town was attached by a 700 man confederate cavalry unit on November 10, 1861.The Confederates and the local residents, the Union burned the Village. One remaining building from the destruction of the town is known as the Madie Carrol House. AS legend goes, the Madie Carroll house arrived in Guyandotte by Flatboat in 1810. James Gallaher, a river tradesman, had obtained the house in Gallipolis, Ohio and placed the house on lot number 34 in Guyandotte. Thomas Carroll operated his home as an inn on the James River and Kanawha Turnpike. The Carroll Family was also the first Catholics in Cabell County and their home served as a house of worship before a Catholic Church was built. The house was donated to the Greater Huntington Parks and Recreation District and is being restored as a historical museum and cultural center.